Drones aren't normally something that airlines want anywhere near their planes, but European budget airline EasyJet is eyeing their use to speed up aircraft inspections. The company wants to use preprogrammed drones to inspect aircraft on the ground after events such as lightning strikes. Currently, such inspections are done visually and require an engineer to get up above the aircraft and around its exterior. That requires a platform and takes valuable time. The hope is that drones can shorten the time a jet is out of service. They will fly around an aircraft snapping images, which will then be fed to engineers for analysis. Engineers will use the photos instead of visual inspections to verify potential problems. A human review and sign-off will still be required on any aircraft that has been scanned by drone. 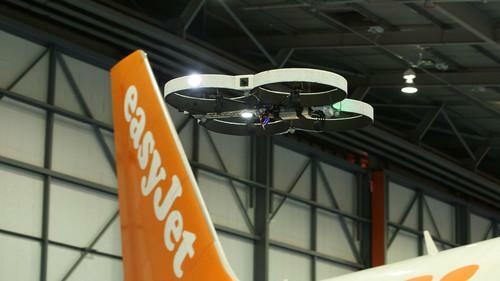 EasyJet is working with Bristol University and Blue Bear Systems, a British drone company, to test the technology and says it has already demonstrated that a drone fly-around is possible. Next, it's working on getting higher resolution images from the drone to provide a clearer view for engineers. 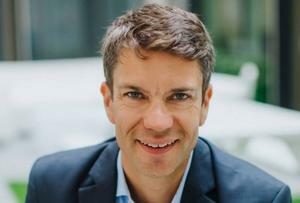 If that proves successful, it hopes to have the system in use in the next 12 months at its maintenance bases in Luton, London Gatwick, Malpensa near Milan, and Berlin. The airline said it's also exploring 3D printing for cabin items such as arm rests and some engine parts, such as fuel nozzles and carbon filter fan blades.